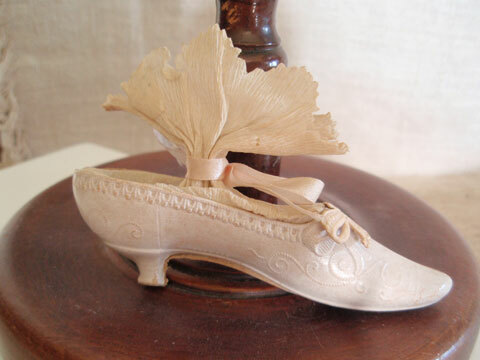 Extremely rare and wonderful, this late 19th C Dresden Shoe Candy Container ornament is simply to die for. 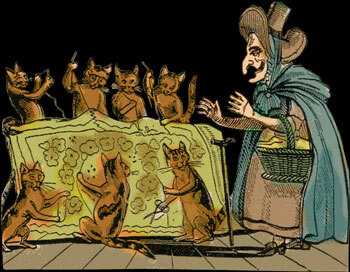 Measuring a mere 3 inches in length by 2 ¼ inches high (to the top of the crepe paper), it is in excellent condition. There are no rips in the paper nor holes or cracks anywhere. 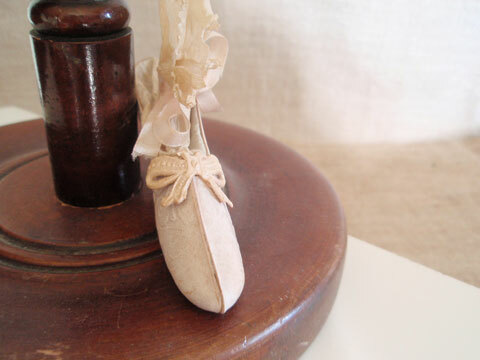 It still even retains its diminutive bow on the front as well as its original satin ribbon around the crepe candy holder. It is embossed “Germany” on the bottom. 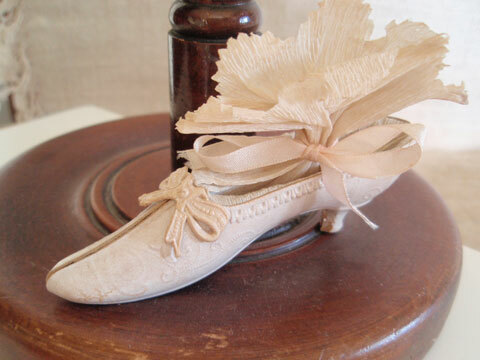 What a beautiful and delicate Christmas work of art, a replica of a late 18th C woman’s shoe. 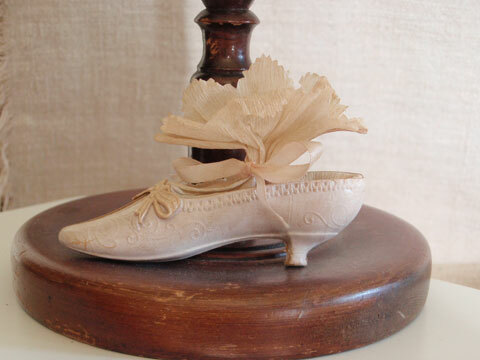 Truly a marvel to behold and a “must have” for those who appreciate early costume, as well as those who collect these wondrous little Dresden pieces for their feather trees.